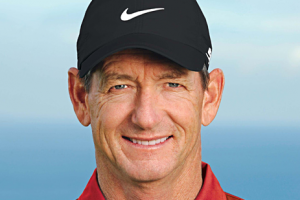 Hank Haney was born on the 24th August 1955, in Lake Forest, Illinois USA, and is a professional golf instructor and coach, most famous for his collaborations with Mark O’Meara and Tiger Woods. He also owns and operates four training centers in the area of Dallas, Texas and has his own reality TV show – “The Haney Project” – in which he helps celebrities to step up their golf game. Have you ever wondered how much wealth this renowned golf instructor has accumulated so far? How rich Hank Haney is? According to sources, it is estimated that the total amount of Hank Haney’s net worth, as of early 2017, exceeds the sum of $10 million, acquired through his professional career in the world of golf coaching, which is now spanning over 40 years during which he has coached more than 200 professional golf players. Hank’s interest in golf dates back to his teenage years – he attended the University of Tulsa on a golf scholarship, from which he graduated in 1977 obtaining his degree in Education. For his talents and dedication, he was rewarded with All-Missouri Valley Conference honors. Upon graduation, Hank began working at MeadowBrook Country Club in Tulsa, Oklahoma which provided the basis for his net worth. In 1976, Haney began his professional golf coaching career under the mentorship of globally renowned golf instructors John Jacobs and Jim Hardy. Through the next decade, Hank served as Director of Golf, Head Pro as well as Director of Instruction of several major golf facilities and operations including Stonebridge Golf and Country Club in Dallas, Texas, Sweetwater Country Club in Houston, Texas, and PGA West in La Quinta, California. These engagements not only that helped Hank Haney to establish himself as a prominent professional golf instructor, but also significantly boosted his wealth big time. In 1991, Haney opened his first training center; today, Hank owns and operates four golf training facilities in Texas, which were created and designed in collaboration with several top golf course architects such as Jim Fazio and Pete Dye. The Hank Haney Golf Ranch at Vista Ridge is one of the world’s top golf training centers, equipped with a 9-hole golf course as well as a video teaching facility and 175-yard grass tee, while Texarkana Golf Ranch has been honored with several awards. Hank Haney has taught over 200 golfers which competed in LPGA, PGA as well as Asian and European tours, including two of the most successful golf players – Tiger Woods and Mark O’Meara. It is certain that these activities contributed to the overall size of Hank Haney’s net worth in a positive manner. Apart from all those activities mentioned above, in 1986 “Hank Haney’s Golf Lessons” – a 30-episode golf instructional TV series – was aired on Japanese television, while in 1999 he published his first book entitled “The Only Golf Lesson You’ll Ever Need: Easy Solutions to Problem Golf Swings”. Ever since, Hank published six other books including “Hank Haney’s Essentials of the Swing: A 7-Point Plan for Building a Better Swing and Shaping Your Shots” as well as the much hyped “The Big Miss: My Years Coaching Tiger Woods” – describing a six-year collaboration between them. Since 2012, Hank has released 14 instructional videos and DVDs. Doubtlessly, all these ventures have helped Hank Haney to dramatically increase his popularity as well as his wealth. In 2009, Hank launched “The Haney Project”, a reality TV show in which he teaches a celebrity how to improve his or her golf game. So far, there have been four seasons featuring Charles Barkley, Ray Romano, Rush Limbaugh, Bill Cowher and 14-time Olympic gold medalist swimmer Michael Phelps. In 2011, Haney was featured in a video game “Hank Haney’s World Golf” (Mac OS X release is titled “World Challenge Golf 2011”). All these achievements massively improved Hank Haney’s net worth. Hank’s teaching philosophy is based on improving the mechanics of swing of his students. For his dedication, professionalism and his coaching skills, Haney was honored with several rewards including North Texas PGA Section Teacher of the Year five years in a row, between 1989 and 1993, PGA Teacher of the Year in 1993 as well as Golf Digest Top 10 Teacher and Golf World’s Top 50 Golf Personalities Worldwide. When it comes to his personal life, Hank has been married to former model and occasional actress Suzanne Rogers since 2009. They were introduced to each other by Charles Barkley while filming the first season of “The Haney Project” in December 2008 and a year later in November 2009, they married.